If you would like to sing, act, write or help out in a dynamic, creative and friendly environment we would love to hear from you. Imagine the thrill of seeing your words and music come to life as they are performed by a hardworking and passionate group of people dedicated to delivering the best in amateur performance. 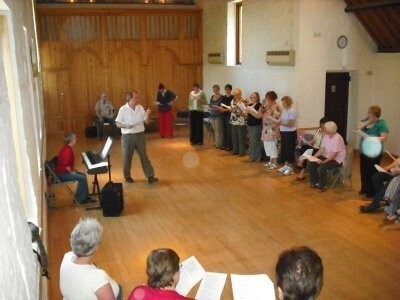 We are always looking to welcome new members (performing or non-performing) to the Company. Regardless of your age or experience we have raft of roles from directing, singing, acting, backstage, front-of-house, set construction, costume design and so on. There really is something for everyone with the main emphasis on fun. There is a membership fee of £25 per year which includes the cost of public liability insurance when rehearsing or performing. 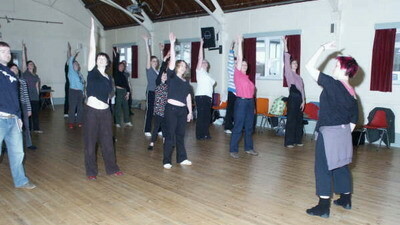 Most of our rehearsals take place in Bekesbourne Village Hall or in Westbere. Just come along to one of our social evenings to meet the Company or just send us an email. 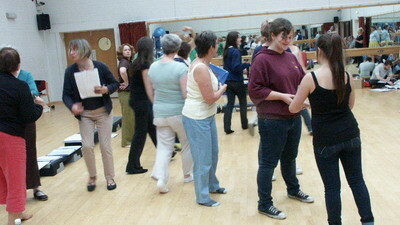 We run a variety of workshops ranging from singing and dancing to theatre craft, characterisation and masks! 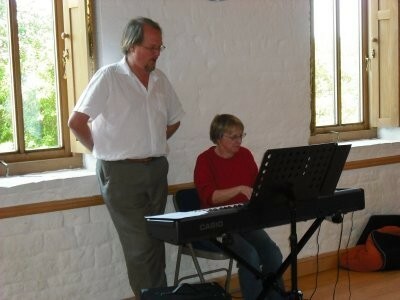 Our workshops are led by professionals. All are welcome to our workshops and these days are a good opportunity to learn some skills, meet the group and have some fun. If you are interested then see the 'Future Dates' section of this site or email us.